Has anyone ever said to you that you are standing at a crossroads? Lately I’ve been hearing this word as a lyric in songs, a line in a poem, and it’s even the professional name of some companies. I understand the meaning as an intersection of two or more roads, and the more popular definition, a point in which a crucial decision must be made that will have far-reaching consequences. It was just recently that I realized I have been at a crossroads on several occasions I just didn’t know it. Decisions are hard enough to make when we do not sit and analyze them but they become more complicated the more we look into the consequences. We make decisions all of our lives some become good and other’s bad leaving us regretting that we had not chosen the other road. Just like anything else in life we cannot change the past or the outcome of what that decision has created in our lives, we can only adjust to the situation and figure out a way to make it work out or move forward with whatever the consequence is. I’ve had a couple of those regretful moments and lately I am terrified that I may be on my way towards another. It’s extremely hard not knowing what the right thing to do is especially when the consequences can either be really good or really bad depending on the road you choose; without knowing the outcome until you have traveled the road. So how do we choose? I”m still trying to figure that out. I’ve been praying on it, seeking advice of a close friend and I have talked to one family member. I think it is important not to ask for advice from too many people at once it will only lead to mass confusion, been there done that! Seek out someone you can trust, someone who is not biased on the situation, and obviously a counselor or your church will also be beneficial. I’m a firm believer that everything happens for a reason. Wouldn’t it be awesome if the reason was spelled out in front of us? A perfect world would show us signs along the way: proceed with caution, danger ahead, yield, or slippery slope ahead. Personally, I prefer a flashing neon sign that says Here it is; the right one! Unfortunately, that’s not how it works. So, here I am again at a crossroads. My job now is to figure out which road is the right road for me. 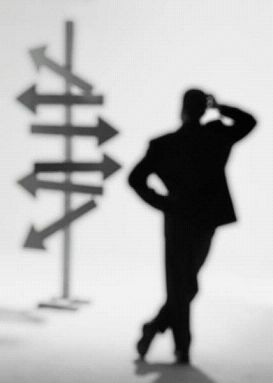 A decision that leaves you at a crossroad is usually not an easy one to make. I will take my time, look at all of my options and see which road my gut is telling me to head down. I’ve done a lot of changing over the last few years and one of the most important things that I’ve changed is learning to listen to my instincts. I will no longer argue with myself that’s just silliness. Internal instincts can be what your subconscious is feeling and deep down is what you want even if you dont’ think it is. If you find yourself at a crossroads please don’t rush to a decision. Take time, sleep on it, pray on it, and talk about it with someone. Most importantly when you have reached your decision if it turns out to be the wrong path don’t beat yourself up about it. I’ve done that and all it does is create more stress that is not needed. If this road that I am choosing now turns out to be the wrong one I will just have to live with it and like I said before learn how to deal with the consequences. If it turns out to be the right road then I’m that much closer to really knowing myself and trusting my instincts.